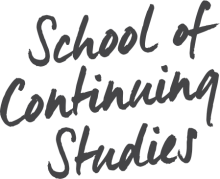 The School of Continuing Studies is committed to delivering customer service that responds to your needs. Whether you’re a current student, a prospective student, or a professional client, Client Services is your first point of contact. Our teams can answer your questions, advise you on your programs and courses, and support you throughout your time at the School. How Can Client Services Help?